I love the colours of autumn. The weather is turning more dull and grey and yet the leaves become vibrantly coloured. When I saw a photo taken by my friend Collette Knibb colls_photos on instagram Photography by Collette on Facebook I felt it was a good reference photo for a painting about my love of autumn. 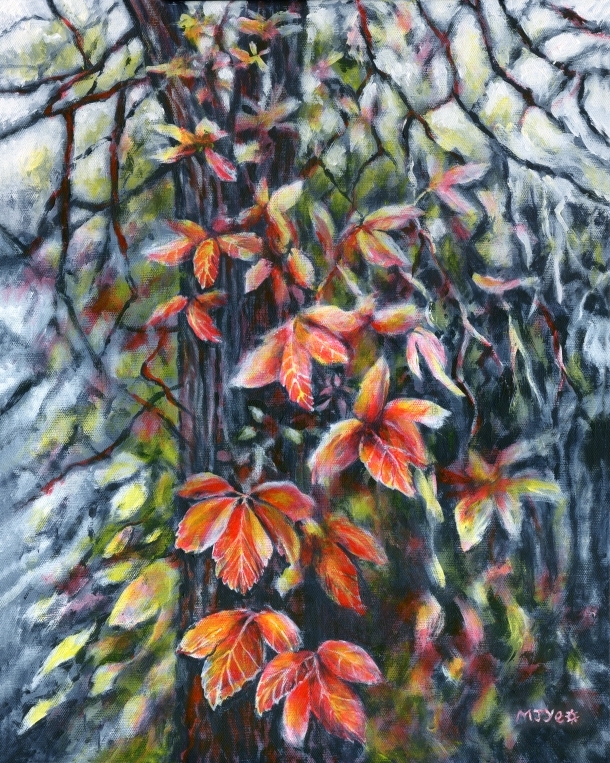 I did the background grey and the leaves in the foreground coloured to show the contrast between the duller weather and the bright colours of the leaves.